Week two is complete in my Book-a-Week Rosh Hashana Resolution Situation. I finished this book I started earlier in the summer but hadn't made it back to. 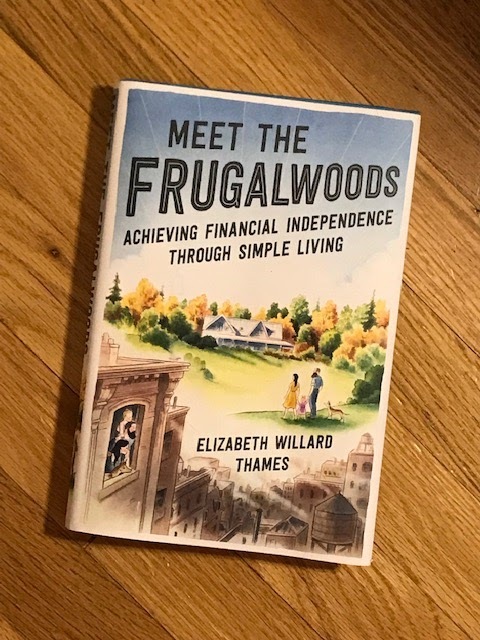 I've been reading Elizabeth Willard Thames' financial blog, Frugalwoods, for a number of years and I'm a big fan. Her book is more memoir than financial advice which makes sense since she's not a financial expert and her current financial habits are already published pretty explicitly online. She chronicles her move from single yuppie to married homesteader with self awareness and humor. Thanks to your post, I’m now following the Frugalwoods blog. It’s like a good book that I can’t put down.